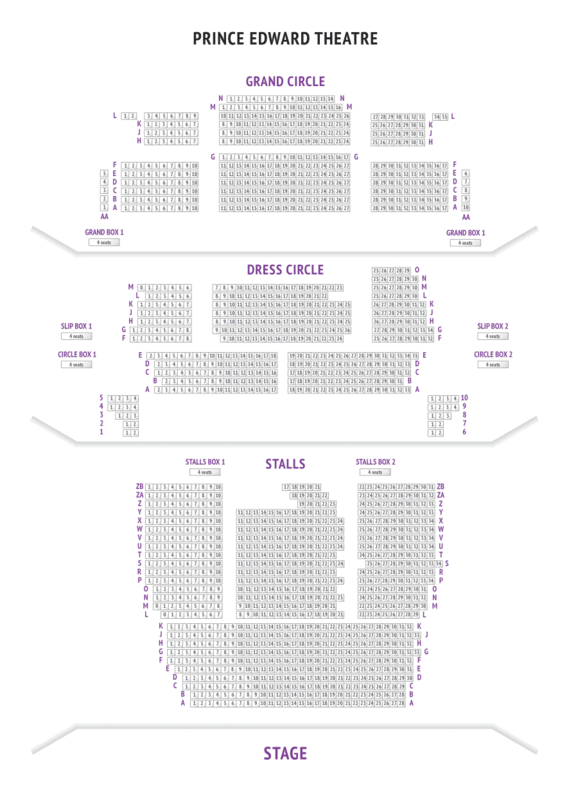 Aladdin the Musical at Prince Edward Theatre. 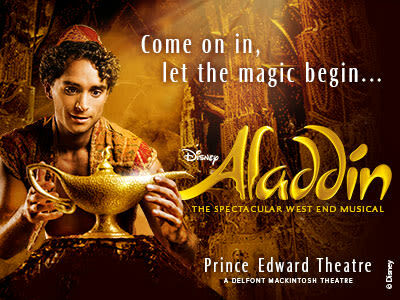 Experienced the brand new London show, Aladdin based on the blockbuster 1992 Disney animation movie! The movie was released in the year 1992 and was immensely successful. For the character of Genie, comedian Robin Williams offered his voice. The blockbuster movie was based on the classic Middle Eastern folk tale, Aladdin and the Magic Lamp. In the famous story book of The Book of One Thousand and One Nights, this is one of the most loved tales. Chad Beguelin penned the book of the musical following the movie plot with slight changes. The story of Aladdin is hugely popular amongst people of all age groups. It is the saga of a young homeless man who resides in Agrabah. Aladdin gets a chance to make an entry into the cave of wonders and search for a magic lamp. The lamp is the home of a Genie who grants three wishes to Aladdin. To win the heart of beautiful Princess Jasmine, Aladdin wishes to be a prince. On the other hand, evil Jafar has some other plans for him. Heart touching compositions by Alan Menken and lyrics by Howard Ashman, Tim rice and Chad Beguelin have some memorable scores such as “One Jump Ahead”, “Friend Like Me”, “Prince Ali” and “A Whole New World”. The show also features some additional musical numbers written especially for the musical. Aladdin is a complete musical masterpiece for people of all age groups as it features high energy dance routines, story and wonderful sets. In the year 2014, the show made its debut on Broadway at New Amsterdam and went on becoming a blockbuster hit. the famous story book of The Book of One Thousand and One Nights, this is one of the most loved tales. Chad Beguelin penned the book of the musical following the movie plot with slight changes. Came to see Aladdin. I booked many ahead from the US on the internet. I had the ticket delivery as "will call". I was a bit nervous because it was so far in advance but no need. I got an email the day before reminding me of our engagement and instructions regarding the redemption of the tickets. It was a seamless process! Kudos to them! We arrived a bit early and were able to head up to the bar which had a really neat balcony overlooking the street. It was fun to watch the people arriving from above. One thing to be aware of, we went in July on a Wednesday, the place was packed with "school" groups. Not sure if that was just due to the time of year or the day of week. The ushers were all quite friendly and helpful. We had lovely seats and even though they were off to the side, a very good view. The venue is easily accessible by Tube. There was a goof up in the scene where Aladdin takes Jasmine for a ride on the magic carpet shows a beautiful full moon in the background from Jasmine's room. As they take the ride they go out into the outer space from where they can seen the whole planet earth. That was a nice touch. However, when they return to Jasmine's room, the audience can still see the planet earth from Jasmine's window and it takes about three minutes for the view to switch back to the full moon. They need to get a bit better at this. The best part of the musical is the Genie character who keeps the audience engaged and puts a lot of energy into his performance. If I were to see this musical again then it would be to see the Genie again. The view from Dress Circle B13 was really good. The Prince Edward theatre is a good one.